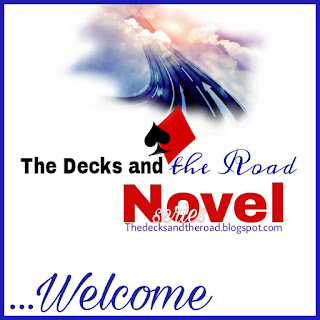 The Decks and the Road Novel Series serves as an extension of the already established foundation by the author NaTisha R. Williams, of characterizing ‘the decks of our lives’ and ‘the ­roads of our lives’. The first novel in the Suspended-Release Novel Series Freeborn was released between October 2017 and January 2018. Whereas Freeborn was a pull from the deck, Erased the second book in series, will be a call from the Road and the suspended-release is set to begin this May. The series begins with two of the main characters from the author’s first novel Renegotiating Kayla, and expounds on several of the characters introduced in the author’s second novel A Better Pair of Shoes. Readers are directed to begin with the book A Better Pair of Shoes, in order to fully enjoy and appreciate the series. The novel series covers a wide scope of life and social issues. In Freeborn, Williams covered family legacy, fatherlessness, betrayal, unexpected joy, and boldly used her characters Tayeton Fisher and Dr. Kat Shepherd to pose tough questions about Love as it pertains to HIV/AIDS. As with nearly each chapter, the series is expected to present many surprises while continuing the tug of war between the cards we’re dealt and the roads we choose. Throughout the series characters will be shifted in and out of leading roles. Erased is set to introduce a whole new set of voices, as some passive roles become pivotal. Before the road runs out on this 3-book series, the author would have covered three generations. For a fluid lead into Erased, Williams held back chapter 29-b of Freeborn which instinctively becomes the introduction to the second novel, and she is still holding out on the title of the third book which will be announced sometime after the suspended-release of Erased. The series is Free online on Blogger at thedecksandtheroad.blogspot.com. Also on the Blog, readers can enjoy award presentations for Best Male and Female Performances, Most Influential Voice, the Adam and Eve Award, and Best Character Introduction. Visitors to the site should use the white arrow under the subscribe feature to reveal the ‘Labels’ menu and easily navigate the book.